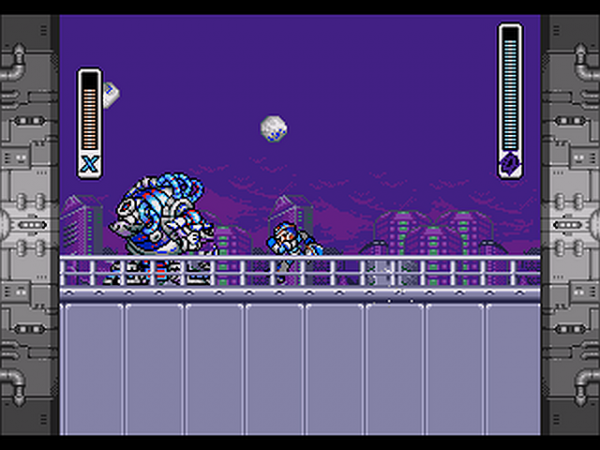 While many of us are familiar with X and his escapades in destroying Sigma, only to have to destroy him again in the following game, the Mega Man X series (known originally as Rockman X in Japan), has seen many a release across various platforms. While having played several of the Mega Man and X series for the SNES and Playstation, I noticed that Sega’s 16-bit system didn’t get much love, with only The Wily Wars being released, and even then, it was only available for the Sega Channel in the US. With Rockman X3 receiving multiple ports for systems like SNES, PS1, and Saturn, the Genesis never saw an official release, so it was bootleggers to the rescue!When I started the game up some years back, at the time I had no clue if this was some sort of official release or not, since by then, I knew that the Sega Genesis had less powerful hardware when compared to the SNES. For the heck of it, I tried some of my passwords on the game, only to see that they didn’t work, so I carried on to starting a new game. With a lack of an intro to the game’s story, I was thrown right into the intro stage, which surprisingly remained mostly faithful to the game, until I got to the part where X is supposed to be captured and control is handed over to Zero. Since that didn’t happen, I beat the miniboss and continued though till the end of the stage, which strangely had a battle with Blizzard Buffalo. Of the stuff I already noticed, there were missing sprites, animations, a lack of pause menu, and missing attacks from enemies overall, not to mention that X was wearing his X1 armor with most of the armor abilities from X3 given to the player by default. So after that, I reset the game to see if the password would work. To my surprise, it didn’t! By the time that happened, I did a bit of research online to find that Rockman X3 for the MegaDrive was a bootleg. There wasn’t terribly much information available at the time for it, unfortunately. After finding out it was a bootleg, I decided to see how far I could get though the game, and what might be complete or lacking. After playing though all the available stages, it was evident that whoever developed this game did surprisingly decent job in porting the game, even if there were no weapon pickups or armor upgrades available, areas omitted for the optional boss battles and upgrades, levels that lacked moving platforms that are semi-required to advance though the stages. The controls overall are pretty solid for a bootleg game, which can be quite surprising for people that are used to shoddy controls in bootlegs. Something else that surprised me was that the music is decently good in most levels, while the sound effects are conversely pretty sparse and low-quality. Graphically, this game suffers from either poor design or quality, as some of the colors glitch out to another color palette, or don’t match up with what the original game has. Gameplay, overall, provides a difficult challenge just like the source material, but can be more difficult in parts because of the aforementioned lack of obtainable weapons and a need to use the airdash to navigate to other areas without taking damage to progress. Sadly, Doppler’s stage is just a clone of one of the other ones and there is no other way to progress beyond it, so whether that was the original intention of the developers, or if this may have been an incomplete game, I doubt anyone will find answers to it.